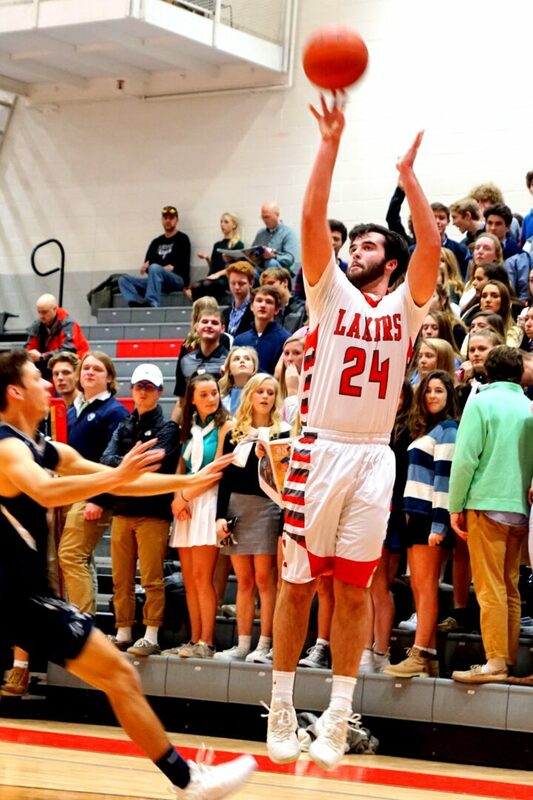 SPRING LAKE – The Spring Lake boys basketball team may not be able to dominate in the paint like it did last season, when 6-foot-8 Sam Johnson and 6-5 Griffin Lorimer intimidated opponents. Johnson and Lorimer are now playing Division 3 college basketball, but the Lakers are showing they can be successful in other areas of the game. The gritty Spring Lake squad outrebounded visiting Fruitport by 10, held the Trojans to an icy 24 percent shooting, and were outstanding in sharing the basketball in a 57-32 blowout victory on their home court. Following its season-opening win against Muskegon Heights, Spring Lake improves to 2-0. Fruitport, after posting a nice non-conference win at Whitehall on Tuesday, fell to 1-2 overall. Lakers coach Bill Core emphasized an impressive stat after the game – 16 assists on 20 baskets, a testament to the Lakers’ unselfishness. The Lakers put the Trojans into a 20-6 hole after one quarter, as undersized post player Zach Keyser, a 6-1 junior, bullied his way for six points with offensive putbacks and layups in the paint. 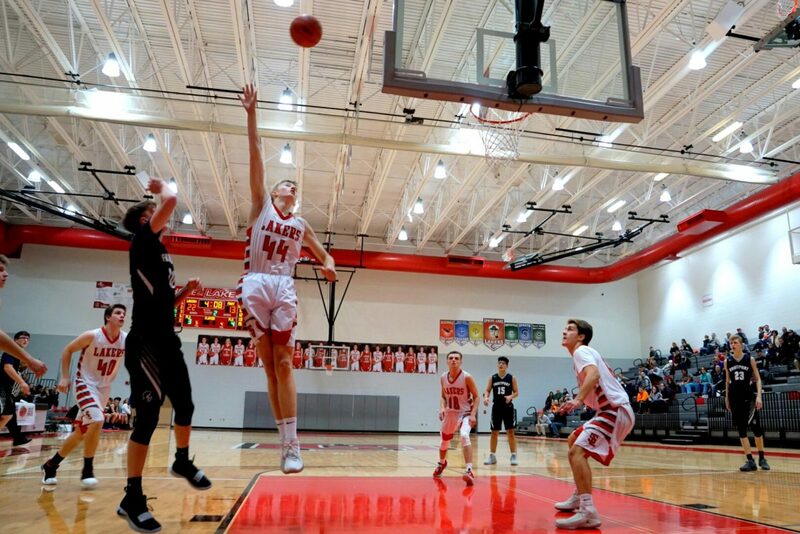 He finished the night with eight points and a team-high nine rebounds. Fruitport clawed back to within nine points, 20-11, early in the second, but the Lakers got a late 3-pointer from Kyle Wiersma and led 29-13 at halftime. 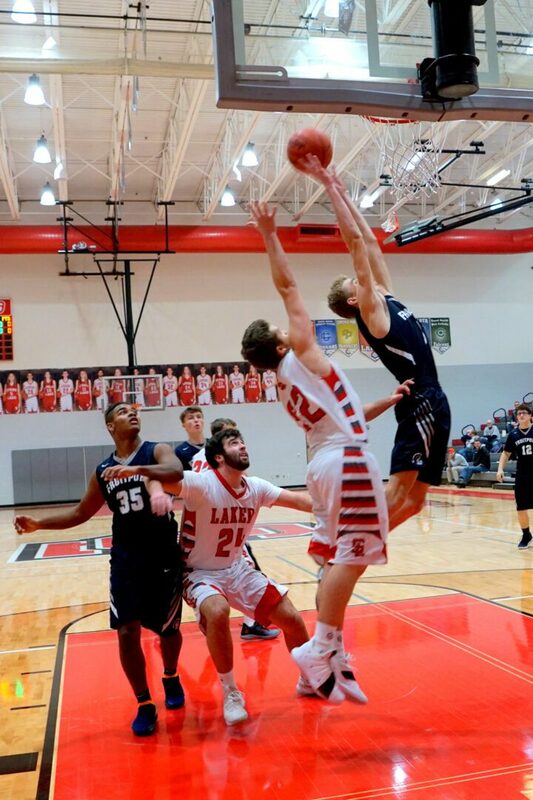 Wiersma, one of three returning Lakers who saw consistent playing time last season, led all scorers with 13 points, and also contributed six rebounds and five assists. Spring Lake outscored Fruitport 17-5 in the third to blow the contest wide open. Trojans coach Steve Erny said he was frustrated his team was outrebounded by a 31-21 margin, and also struggled at slowing the Lakers in transition. “There’s no way we should have been outrebounded by that many, but that boils down to effort,” he said. “Again, that’s things we can control. 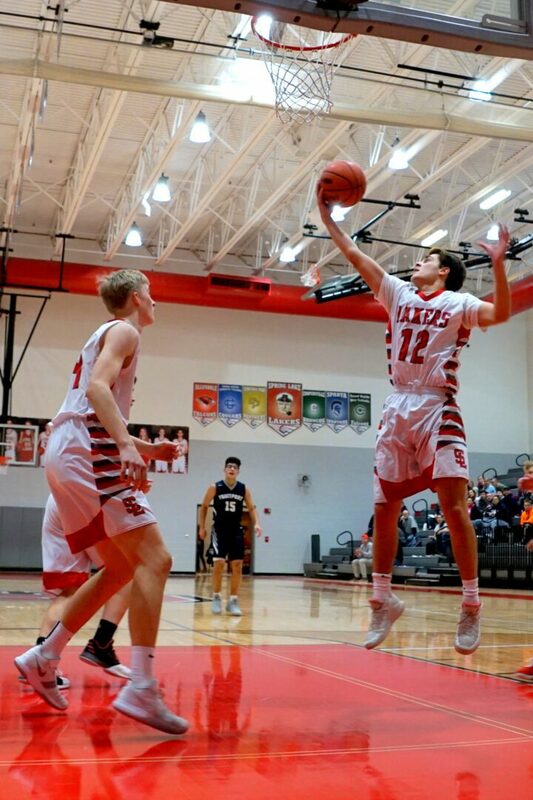 Core thought the defensive rotation of Wiersma, Sam Negen, Kyle Garrison and Sam Sheridan was crucial in limiting the offensive production of the Trojans’ leading scorers, underclassmen Luke Mitchell and Gavin Fisher. They were limited to a combined eight points. Logan Manciu and Marcelo Conklin led Fruitport with six points apiece. 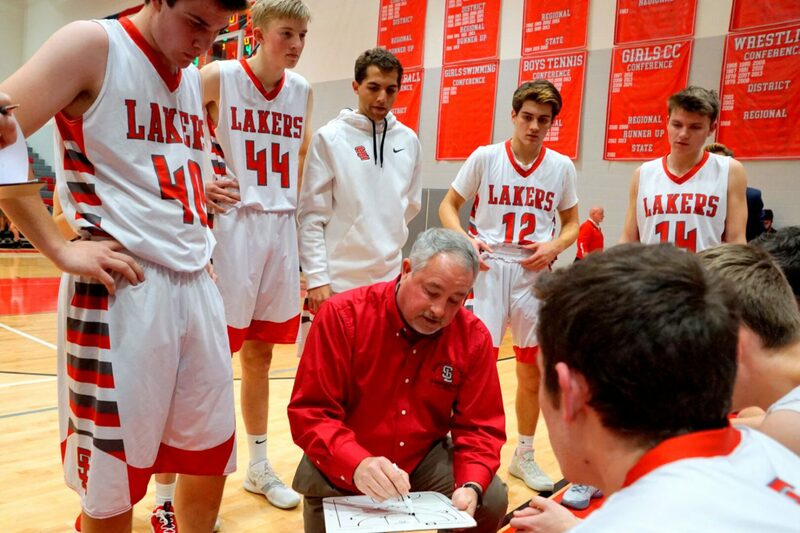 Core said the Lakers will be tested next week when they travel to Rockford on Tuesday and then host rival Grand Haven on Friday. Both teams have much more size down low than the Lakers. “Rebounding will be a key for us all year,” Core said.